Ushiro Ryotedori: When attacker grabs both wrists from behind (see photo of O’sensei on right). Ushiroeri katatedori: When the attacker grabs the rear collar and wrist. Ushiro Hiji-tori: When both elbows are grabbed from behind. Ushiro Ryokatatori: When both shoulders are grabbed from behind. Ushiro Tekubitori Kubishime: When the neck is being strangled and a wrist is disabled. 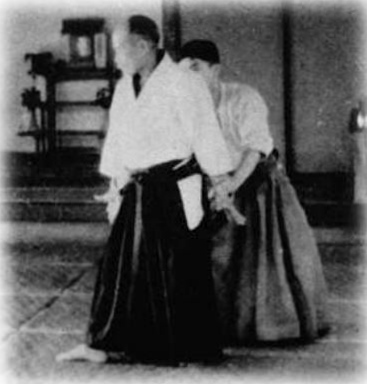 In dynamic Aikido practise an ushiro attack is typically initiated from the front such that the uke enters first by grabbing the wrist and then moves to the rear of the nage. The grabbing of the wrist can occur intentionally (eg the uke intends to undertake a ushiro ryotedori attack) or as a result of the nage responding to the initial attack by using their hand-sword to make connection and initiate defensive action. In the below video Chicko Xerri Sensei (6th dan – AKI Aikikai) demonstrates the aiki principle of “creating a place to move” at first contact to create immediate opportunity for Aikido technique. 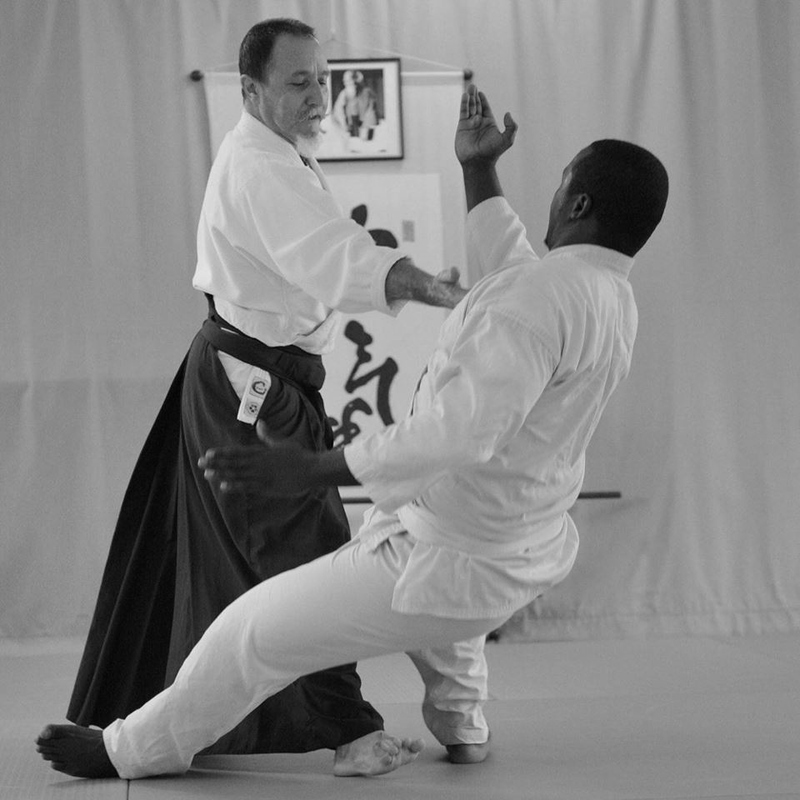 Notably, the approach taken by Chicko Sensei differs to what is often seen in Aikido practise whereby the nage takes the higher risk martial option of allowing the uke to move around to the nage‘s rear. In the below video, seniors from Aikido Warrior Fudoshin Dojo demonstrate an alternate irimi based option for creating a place to move. Chicko Sensei in the following video provides an overview of other Aiki principles important for ushiro practice. Notably, Sensei uses the sword to demonstrate the origins of the principles.